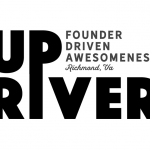 David vanBlaricom, V4’s CEO, nominated as rvAwesome Founder Finalist! 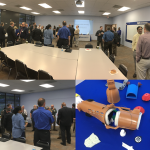 V4 Development's CTO Derek Neely was proud to be invited to the 2018 ECPI Fall Advisory board meeting in order to give input on the current and upcoming syllabus. 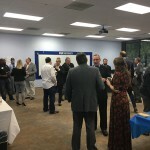 V4 Development's David vanBlaricom judged the 2018 Capstone Design Expo for 2018. 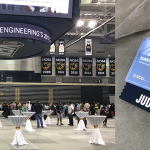 Student teams presented their completed work at the Dean's Society event on April 26, 2018 and the Capstone Design Expo on April 27, 2018 at the Stuart C. Siegel Center. 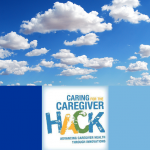 Richmond, VA – A diverse group of multidisciplinary college students from across the Commonwealth gathered to address the often overlooked issue of caregiver health and wellness at the 2017 “Caring for the Caregiver Intercollegiate Hack” hosted by VirginiaNavigator’s Lindsay Institute for Innovations in Caregiving. 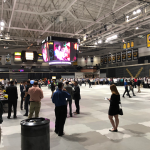 Every year at Virginia Commonwealth University, the School of Engineering hosts the Capstone Design Expo where undergraduate students present their Capstone Design projects to sponsors, faculty, students, invited guests, and the general public. This event is the height of engineering students’ educations, as they have invested eight months of work into these projects over a two-semester course. 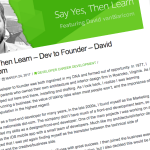 V4 Development’s CEO David vanBlaricom was featured on the popular developer website Stackify. 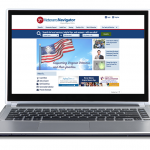 Stackify is a website that is founded, run, develops tools in order to create better developers. 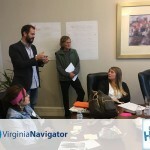 The V4 Development team is proud to announce the launch of VeteransNavigator.org, an online resource for Virginia’s veterans, families and caregivers. 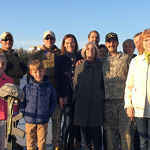 To read more about VeteransNavigator.org and it's family of websites, here is a [feature story](http://www.richmond.com/news/article_02842ee2-f2e3-5aef-8e65-fae63553a806.html) in the Richmond Times Dispatch.